There are a number of great DAW's (Digital Audio Workstations) on the market that you can use to make great home or professional recordings. Here are 4 quick reasons why I suggest you learn Pro Tools. 1. Pro Tools is widely accepted as the universal recording platform among industry professionals. When we were building our studio, Thirteen Degrees Studio in Franklin, TN, we had to make a decision about which recording platform to use. With few exceptions, a survey of the top engineers pointed us towards Pro Tools. 2. 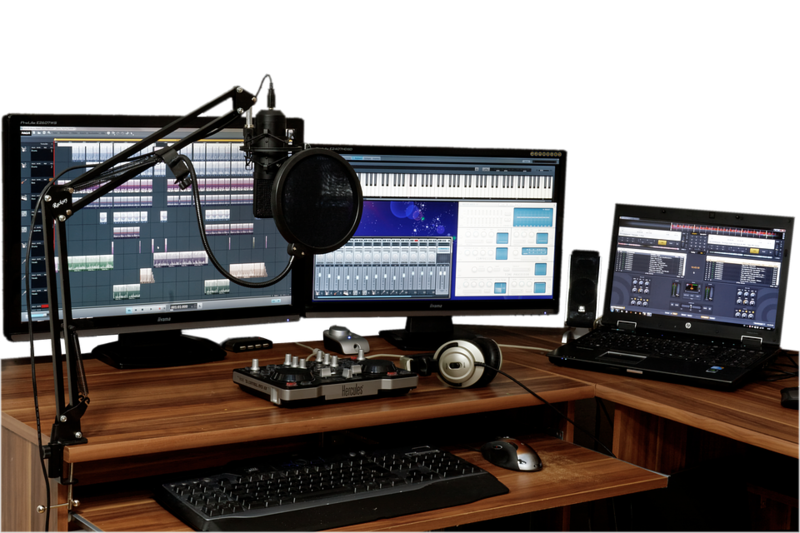 Once you learn the basics of Pro Tools on a home studio package, you will be able to move seamlessly through to the more advanced Pro Tools systems without having to learn a whole new system. The more advance Pro Tools set ups use the exact same layout and functions as the starter programs. 3. Because Pro Tools is so widely accepted, you will be able to share files and sessions with 98% of everyone. I would venture to guess that nearly 100% of all commercial studios have a Pro Tools rig in their arsenal, if not as their primary platform. It is becoming more and more common among home studio enthusiasts to use Pro Tools, as well. 4. Perhaps because I learned how to engineer on Pro Tools, I find it to be the most intuitive computer recording software on the market. When you open a session you get a blank canvas without a palette of unnecessary tracks, sends, instruments, etc. It is very simple to learn how to quickly set up a session for the exact configuration you are working with. You will also find that Pro Tools operates similarly to a word processing program where you cut and paste musical phrases like you would words. Finding a Pro Tools school will be much easier than finding a school that teaches any other recording software. For more information about learning Pro Tools visit our Pro Tools Basic Operation course outline.